In April 2013, a garments factory collapse  at the Rana Plaza building in Savar, Bangladesh, left 1,134 people dead . The tragedy exposed the lack of safety of Bangladesh's garment industry, the country's biggest employer and leading export business , whose clientele includes huge European and US fashion brands. In its wake, over 180 international retailers , importers, and local and global trade unions signed a five-year pact to ensure safer garment factories in Bangladesh. Since its establishment, the Accord on Fire and Building Safety in Bangladesh (known as “the Accord”) carried out  inspections of 1,620 garment factories, assured public disclosure of safety reports and corrective action plans, and provided safety training for workers. Now, Bangladesh is seeking to push the group out of the country and hand over its monitoring activities to the state regulatory body, the Remediation Co-Ordination Cell  (RCC), established in 2017. The RCC was established through the collaboration  of government bodies and factory owners’ associations. It does not have representatives from any garment workers’ unions. Many such unions believe the RCC does not have enough capacity  to undertake inspections and improvements of the entirety of Bangladesh's garment industry, which, according to one study , could amount to around 8,000 factories when considering small ventures and sub-contractors. Over the years, many factory owners have complained  that The Accord has made too-costly demands for safety improvements. When they don't comply, they risk losing valuable European and US costumers. Although the Accord was set to expire in May 2018, its signatories agreed, in 2017, to extend it until to 2021  as only 174 out of 1,620 factories that it monitored have so far completed  all recommended safety repairs. However, in April 2018, a high court in Bangladesh instructed  the government not to renew the Accord's jurisdiction beyond May 31 after a local garment factory filed a petition against the group. The group appealed, and a decision by Bangladesh's Supreme Court ended up extending  its tenure for six more months under a “transitional agreement.” The Supreme Court should make a final decision at a hearing scheduled for January 21. The Accord is one of three similar initiatives set up in Bangladesh following Rana Plaza. 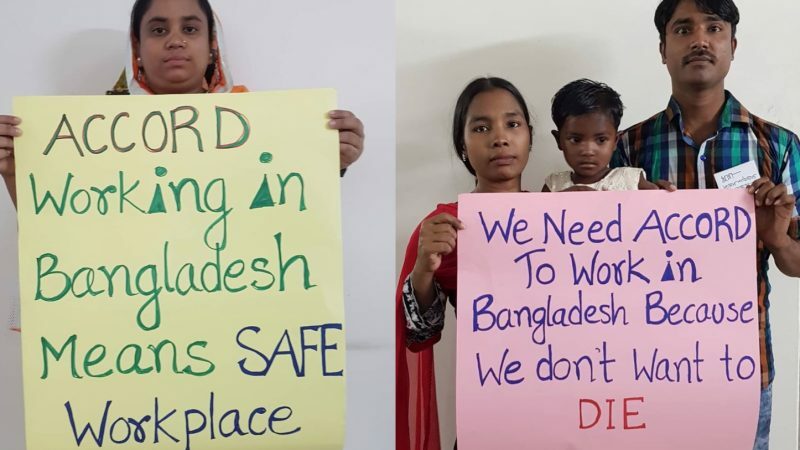 The smaller Alliance for Bangladesh Worker Safety,  comprised of 28 global retailers, terminated its five-year mandate on December 31, 2018 (they haven't sought to extend it). The Alliance has provided  basic fire safety training to more than one million workers in on 655 garments factories. Four hundred factories have completed  their recommended remediation works. A third enterprise, the state-run National Initiative, monitors 745 factories . They will all be handed over to the RCC starting in 2019. 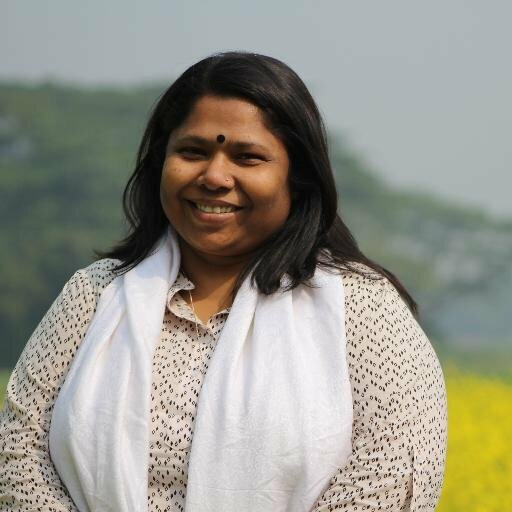 In an interview via email, Global Voices discussed the issue with labor activist Kalpona Akter , who is the founder and executive director of the Bangladesh Centre for Worker Solidarity, a labor rights group. Kalpona Akter (@kalponaakter). Used with permission. GV: Who is against the Accord's presence in Bangladesh? (KA): The government and the Manufacturer Associations  are against to the Accord since the beginning of its work. One of the reasons can be that they have not been included in the mainstream of the Accord's decision-making process regarding factory inspections, so they are not in the steering board. There are also rumors that the Accord has been imposed on the manufacturers by powerful foreign nations or that the Accord is a colonialism program.